In 1868, just seven years after Kansas achieved statehood, railroads, cattle drives, homesteaders and town builders had quickly developed and populated the prairie and plains state that a decade before was best known for the Santa Fe Trail. America’s West, in the early 1800s, ended at the Missouri River. Men knew there was another West—farther west—but venturing there proved problematic. In 1821, when Mexico shook off Spanish rule, the gate to commercial trade was unlocked. In September 1821, Capt. William Becknell led the first commercial expedition across the West heading for Santa Fe, a northern Mexican settlement. Originating in Franklin, Missouri, the world-expanding Santa Fe Trail crossed the Indian territories and uncharted terrain of the future states of Kansas, Colorado, Oklahoma, Texas and New Mexico en route to Santa Fe. Lawrence was founded in 1854 by the New England immigrant aid societies, which sponsored anti-slavery colonists. Lawrence cemented itself in history in 1863 when pro-slavery Bushwhacker William Clarke Quantrill with 400 of his men, raided Lawrence at dawn, killing 107 citizens. The Santa Fe and Oregon trails passed through here and today’s visitors can follow the routes. The Underground Railroad aiding escaped slaves provided several “stations” running throughout Lawrence. The Grover Barn, a famous hiding place, is now inside city limits. Burned in the 1863 raid, the rebuilt Eldridge House offers stunning views of the Kansas River and houses two restaurants. The Oread Hotel contains three restaurants. The Burger Stand at the Casbah offers casual dining, as does Johnny’s Tavern, across from the Eldridge. And the Free State Brewing Company serves locally crafted beer. Albert G. Boone (Daniel Boone’s grandson) co-founded Lecompton in 1854 where the controversial Lecompton Constitution was crafted admitting Kansas as a pro-slavery state. It sparked a chain of events dividing the nation, eventually climaxing into the Civil War. Visit Constitution Hall, a national landmark where the contentious constitution was drafted. Now the United Methodist Church, the historic Windsor Hotel was one of five in town. A Chickering Grand Piano, presented to Lane University in the 1880s, is still in use at the church. An 1825 council between the Osage tribe and government agents gave this settlement its name. Considered the ultimate rendezvous point for thousands of wagon trains, it harbored the last stand of hardwood timber between Missouri and Santa Fe. Nestled in the scenic east Kansas prairie, the Flint Hills, Council Grove offers a treasure trove of historical sights. Enjoy a fine meal at the 1875 Hays House, built by Daniel Boone’s great-grandson, Seth Hays, the town’s first settler. Known as the oldest, continuously operated restaurant west of the Mississippi, in early years it served as a mail distribution point, district court, church and newspaper office. Visit Hermit’s Cave, temporary home of Italian spiritualist Giovanni Agostini, an eccentric man who lived here in 1863. Don’t miss the 1861 Terwilliger home, the last house in the last town Santa Fe traders passed on their journey west. Dodge City, founded in 1872, became a trade center for travelers and buffalo hunters. That same year, the railroad reached town, making it a major shipping point. Longhorn cattle became king. From 1875 until 1886, over 5 million cattle were driven to Dodge. Cowboys created the town’s wild and wooly reputation. Lawmen Bat Masterson and Wyatt Earp became legends here. Boot Hill is the most famous burial ground in Western lore. 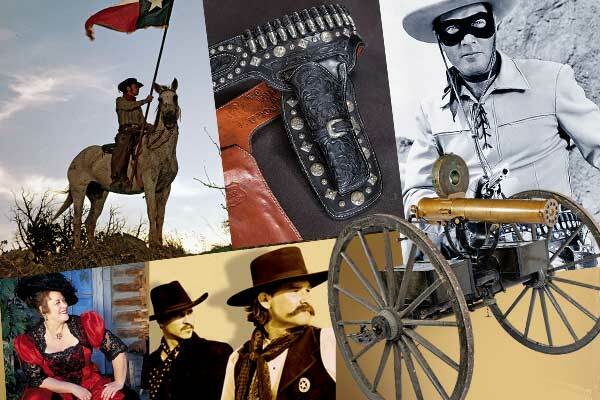 Stroll down Dodge City Front Street, spending time in the Boot Hill Museum, an accredited Western-history museum. Visitors can enjoy a drink at the famous Long Branch Saloon. The Trail of Fame Walking Tour takes visitors past statues of Wyatt Earp, Doc Holliday and El Capitan, a bronze Texas Longhorn. Renovated to its original Harvey House days, the 1898 Santa Fe Depot is the largest in Kansas. Best Western Plus offers spacious rooms and a robust breakfast. Casey’s Cowtown Club serves world-class steaks. For casual dining, Tacos Jalisco offers traditional Mexican food. Enjoy a cocktail at the Boot Hill Distillery, housed in an historic building where award-winning gin, vodka, whiskey, bourbon and bitter ales are crafted. Pioneer trader Jesse Chisholm, half-white, half-Native American, illiterate but who spoke multiple American Indian languages, established a trail and trading post here in the 1860s, trading cattle and goods with the Wichita tribe. In 1870, the town incorporated. Among the 124 charter signatories was the town laundry operator, Catherine “The Widow” McCarty, whose teenage son would leave Wichita to become Billy the Kid. Wichita’s position on the Chisholm Trail made it a destination for cattle drives headed north. With the trail running alongside, Wichita became a railhead for cattle drives. Wichita’s neighbor, Delano, earned a reputation for lawlessness, accommodating the rough visiting cattlemen. 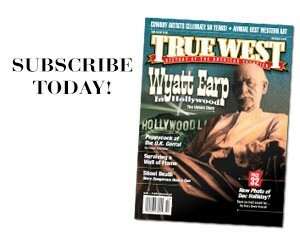 Wichita stayed civil, thanks to well-known lawmen such as Wyatt Earp. Experience what Wichita is best known for, its Western heritage. Enjoy Western family entertainment and all-you-can-eat barbecue at the Diamond W Chuckwagon Supper featuring the Diamond W Wranglers. Try Bite Me BBQ, Inc., ranked one of the top ten barbecue/ribs places by KANSAS! Magazine. Step back in time and explore America’s most authentic Old West town at Old Cowtown Museum, an outdoor, living history museum. Close to all of the action of Old Town, Douglas Design District and Historic Delano District, is the affordable Hotel at Old Town, across from the Museum of World Treasures. It was all about cattle. From 1867 until 1871, the Chisholm Trail ended in Abilene, railhead of the Kansas Pacific Railway, where cattle were sold and shipped eastward. In 1867, Joseph G. McCoy built stockyards encouraging Texas cattlemen to drive their herds there. That first year, stockyards shipped 35,000 head. In 1871, more than 5,000 cowboys herded 600,000 to 700,000 cows to Abilene and other Kansas railheads. Abilene is more than cattle. Although born in Texas, Dwight Eisenhower considered Abilene home. The Dwight D. Eisenhower Presidential Library, Museum and Boyhood Home is well worth a long visit. The museum is closed for renovation until June 2019, but the contents, where possible, were moved to the library. Ike’s impressive and solemn gravesite is on the 22-acre property. The Rock Island Depot, listed on the National Register of Historic Places, is home to the Abilene and Smoky Valley Railroad, a nonprofit organization offering public excursion train rides May through October. 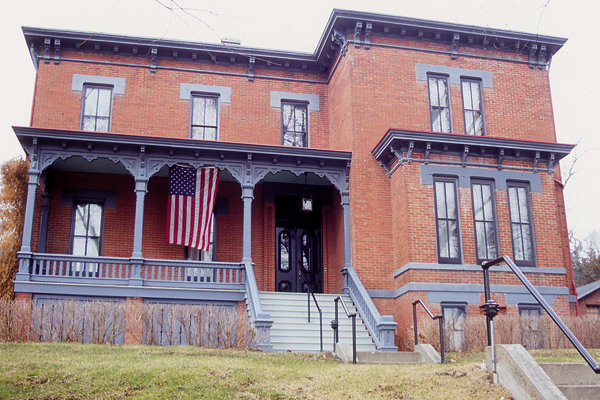 Step into grace and beauty at the 1904 Seelye Mansion. Chosen as one of the Eight Wonders of Kansas, this Georgian-style mansion is filled with most of its original furnishings left by Dr. Seelye and his two daughters who lived here into their 90s. Featuring 6,000 square feet of Victorian elegance, Abilene’s Victorian Inn offers an enchanting bed and breakfast in the heart of town. Listed on the National Register of Historic Places, this inn was once home to Eisenhower’s best friend. Built in 1910, the Engle House Bed and Breakfast, one of the few Mission Arts and Crafts homes on the National Register of Historic Places, offers connections to Abilene’s history. 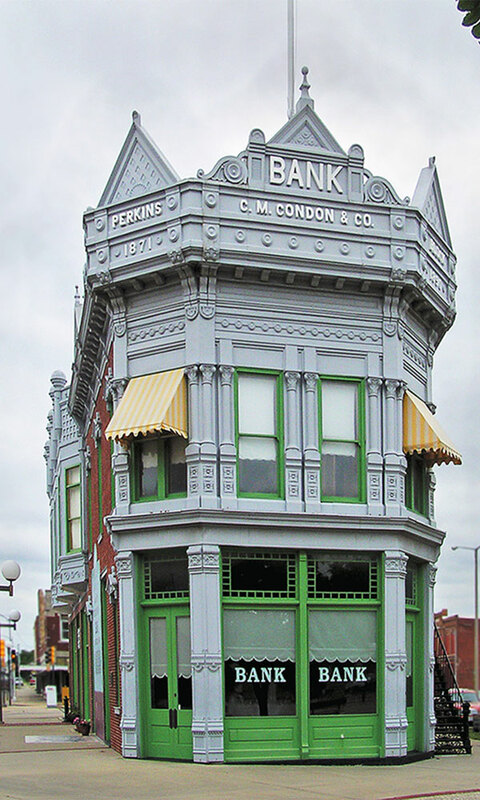 The C. M. Condon Bank, in the center of Coffeyville’s historic plaza, is one of the two banks the Dalton Gang tried to rob in 1892. Coffeyville is famous for its cowboy boots designed for right or left foot, valued by cowboys of the Chisolm days, and the end of the Dalton Gang raids. On October 5, 1892, the Dalton Gang tried to rob two banks at once. As the gang of five crossed the plaza, residents recognized them. Taking up arms, citizens killed four. Unfortunately, four townsmen also died, including George Cubin, who helped create the Coffeyville Boots. Located 135 miles southeast of Wichita, Coffeyville offers The Dalton Defenders Museum housing mementos of early-day Coffeyville, of Wendell Willkie who ran for President, of Hall of Fame pitcher Walter Johnson, and of the Dalton Raid, including some of their guns and saddles. The Old 1871 Condon Bank, which the Daltons attempted to rob, now restored to its original condition, is open for tours. Stand on the plaza where the gunfight occurred. Buildings remain as they were. And be sure to visit the Old City Jail, Death Alley and Elmwood Cemetery, resting place of three of the gang members as well as the defenders. Out in the plains of Western Kansas, visit Battle Canyon where in 1878, 353 displaced Northern Cheyenne Indians escaped from their Oklahoma reservation and headed to Montana. With the U.S. Cavalry battalion on their trail, they made a stand here, hunkering down in a rock outcropping. The frontier army, thin and not well organized, spotted the Indians and fired, killing all the Indians’ horses. Within two hours, many Cheyenne lay dead or wounded. Survivors fled, led by Dull Knife and Little Wolf, escaping into Nebraska and Wyoming. In Scott City, El Quartelejo Museum traces the history of Western Kansas through fossil discoveries on exhibit. Other items, from Indian through pioneer, tell Scott County’s story. An art gallery also is housed here. The Butterfield Overland Despatch (1865-’66) express and passenger coaches rumbled through Russell County using the Smoky Hills River Trail on their way to Denver. 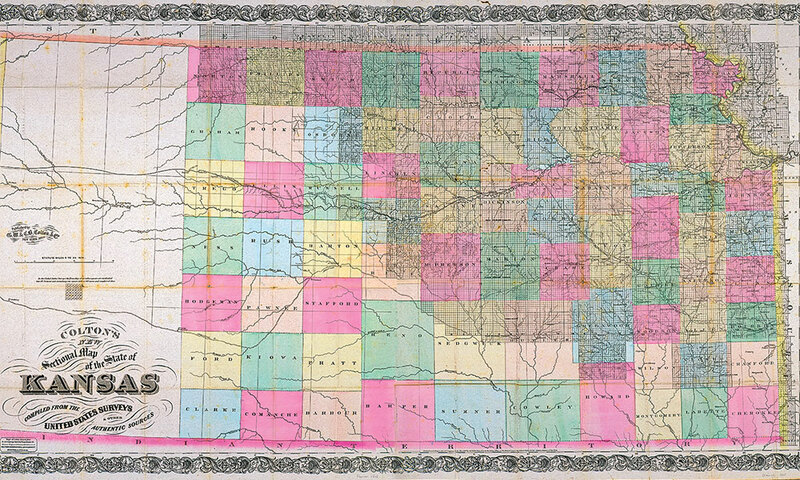 The BOD, not to be confused with the earlier Butterfield Mail Line (1858-’61), followed the route of an Indian trail along the Smoky Hills River, providing the shortest, safest route west across Kansas. The Kansas Pacific Railway reached the Russell County area in 1867, establishing Fossil Creek Station. Looking for warmer winters and a new life, in 1871, 70 members of the Northwest Colony arrived by train from Ripon, Wisconsin, settled in Fossil, renaming it Russell. They lived in boxcars until houses were built. Born and raised in Russell, U.S. Senator Bob Dole kept Russell as his official place of residence throughout his political career. Oil was discovered west of Russell in 1923, which created an oil boom lasting through the 1930s, attracting many settlers. Oil became a staple of the economy. Old Fort Dodge, 1865, protected Santa Fe Trail traffic by soldiers, mainly Confederates who chose Indian fights over Union prisons. They built the hospital and officers’ quarters first. Original buildings, including the headquarters where Col. George Custer worked, are open to the public and used as offices, libraries, museums and a store. In 1890, Fort Dodge was deeded to the State of Kansas for use as a Kansas Soldiers’ home. Veterans from the Civil War through today have retired there. Melody Groves won the prestigious National Press Women Award for her True West article, “Milton J. Yarberry: Jerked to Jesus,” December 2017 issue. Fascinated with Kansas history, she wrote Kansas Bleeds, the fourth book in the Colton Brothers Saga. A Trail of Two Cities Creating a friendship bridge between Omaha and Council Bluffs. 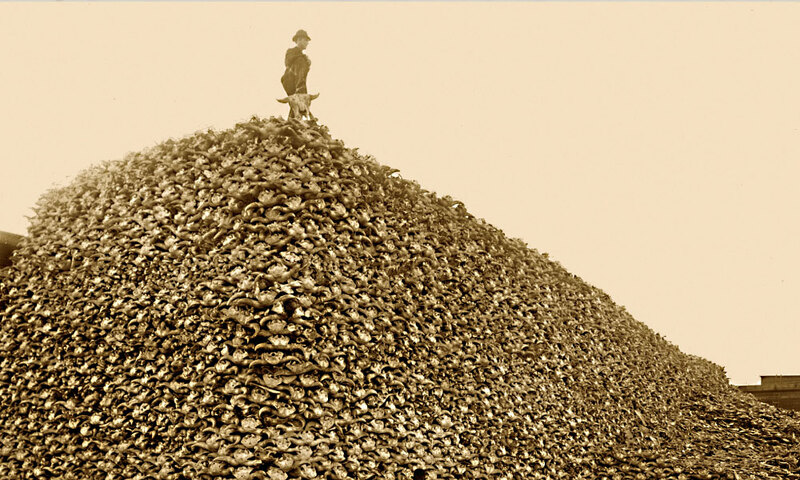 On the Trail of the Buffalo Hunters The Mooar Brothers hunted the great bison herds of Kansas and Texas to near extinction.